Almater ha unito le forze con una società americana, EAS Consulting LLC, con lo scopo di aiutare i propri clienti nell’esportazione di prodotti alimentari negli Stati Uniti. Almater a sua volta potrà fornire supporto alle aziende Americane per le loro esportazioni di alimenti in Europa. Il primo campo di azione è la prossima scadenza del 30 Maggio 2017, data dalla quale diventa operativo il Final Rule FSVP (Foreign Supplier Verification Program) che coinvolge gli importatori ed i loro fornitori internazionali. Almater (www.almater.it) has recently partnered with a U.S. based company to provide additional resources for assisting Italian firms with compliance of USFDA’s new Food Safety Modernization Act (FSMA) regulation. EAS Consulting Group, LLC (www.easconsultinggroup.com) offers a wealth of qualified consultants with extensive knowledge of FSMA. Many of these consultants spent their careers at FDA and some helped to shape the initial regulation that has evolved into what we know as FSMA today. One area of FSMA that is of particular concern to foreign firms is the Foreign Supplier Verification Program for Food Importers (FSVP Rule). Under this rule, US food importers are now responsible for assuring that the food they import into the US complies with FDA requirements. Instead of action against violative food, FDA is now equipped to take regulatory action against importers that fail to provide necessary assurance of food safety. Briefly, US food importers are now responsible for assuring compliance with FDA standards and requirements. Importers must determine that their suppliers are in compliance with FDA requirements, or that the supplier is in compliance with food safety regulations or relevant laws in the country that FDA recognizes as equivalent (at present, New Zealand and Canada are the only countries officially recognized as comparable to the US). In addition to the food itself, FSVP also includes food contact surfaces, such as packaging. Packaging manufacturers are not required to register with FDA, however, the language requiring FSVP does not exempt food contact surfaces. FSVP can be confusing because not all rules apply to all firms. Some importers will qualify for an exemption, exception or modification of FSVP, based on what is being imported, the food safety system in country of origin, the size of the importer, and the size of the foreign supplier. Even with these modifications, FDA estimates that approximately 55,000 importers will be covered by FSVP or some portion of it. There is also a partial exemption for microbiological hazards for importing low-acid canned foods (LACF), provided the importer can verify and provide documentation that the food was produced in accordance with LACF requirements (21 CFR part 113). Other hazards not controlled by the LACF rule, if any, must be documented as controlled under FSVP. When a US facility’s manufacturing process controls the hazards of the imported food, then the facility is considered in compliance with most of the FSVP rule. When a food being imported does not have any identified hazards requiring control, then the US facility is considered to be in compliance with most of the FSVP rule. If the US facility has implemented a supply-chain program for the food in compliance with either Preventative Controls for Human Food (PCHF) or Preventative Controls for Animal Food (PCAF) requirements, the US facility is considered to be in compliance with most of the FSVP rule. There are exemptions provided in the case of some very small suppliers, those defined as less than $1 million in sales of human food a year, or less than $2.5 million in sales of animal food per year. The FSVP Rule is a major element of USFDA’s newest FSMA regulation. It requires US importers to make a thorough assessment of food safety at foreign food manufacturers. Those foreign manufacturers may need to revise some of their processes and/or documentation practices to ensure compliance with FDA’s import regulations. US importers are required to know and verify that imported food is in compliance with FDA requirements. Foods found not to be in compliance risk costly detention and in some cases disposal at the US border. Ensuring that food safety standards and procedures are well vetted and well documented will help firms navigate these seemingly challenging rules with greater ease. Food firms in Italy and other countries in Europe have access to the combined resources of EAS Consulting Group and Almater. EAS can provide first-hand knowledge of US FDA requirements in conjunction with Almater’s local food safety experts who can verify whether foreign suppliers are meeting US requirements. Working together, Almater and EAS will offer high quality assistance. 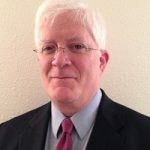 Charles Breen came to EAS Consulting Group after a distinguished career at the FDA working in areas such as HACCP and LACF and BSE prohibited materials in dairy feed as well as the highly successful first domestic US follow up to BSE positive cow. Mr. Breen has worked with the industry on compliance issues related to the Bioterrorism Act of 2003 and led field and HQ professionals in developing and implementing surveillance and compliance programs, and initial FSMA training implementation. His attention to detail has garnered him an FDA Award of Merit, Outstanding Achievement and five Commissioner Special Citations.